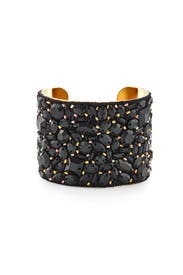 This Glitzy Glamour AV Max Cuff is the LBD of wrist wear. The modern mix of beads paired with hints of gold make it the perfect piece to dress up any ensemble. 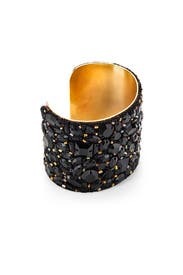 Twenty-two karat gold plated cuff with crystal and glass detail. 2" wide, 5 1/2" adjustable circumference. 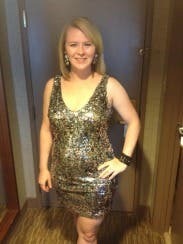 Absolutely loved it, slightly adjustable, wore it all weekend and not just for the event I had planned! Loved this! Wish I had it myself. I have small wrists and it stayed on me with no problem. I great basic cuff with a little bit of glitz. Beautiful and very good price for what it is. Only downside of the one I got is that it's been worn too much and you can tell -- the stones are scraped. Because they are black though, it's hard to tell unless you get close to it. I loved this bracelet and wish I owned it. It is very versatile to dress up or down. 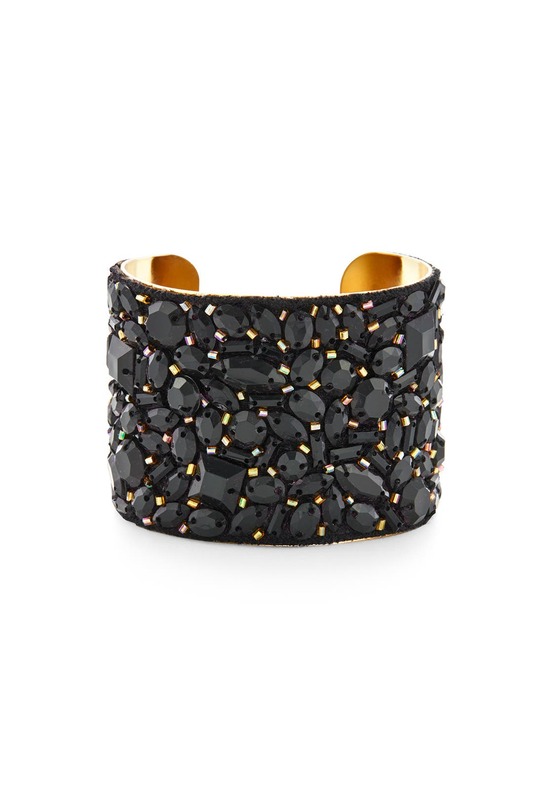 this bracelet was the perfect addition to a sequined black dress. added a little extra something to make outfit look more formal and well put together. would certainly rent this one again! All night long people kept asking where I got the cuff at it was eye catching with the Halstrom one shoulder gown beautiful combo! This is a super cute bracelet that worked perfectly for my outfit!! I got several compliments on it. 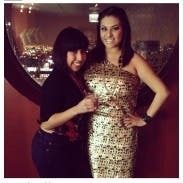 Minus 1 star b/c when i took it off at the end of the night, my wrist was covered in blue where the bracelet had been!! I have small wrists and it fit perfectly - such a rarity. Wonderful bracelet! My wedding look was completed with it! This was my favorite part of the rental! I truly did not want to return it and am actually contemplating trying to find a knock off for cheaper because I loved the look of this so much I would wear it all the time! I have very small hands and wrists and this fit very well. It had the potential to look too wide on my arm, but ended up being perfect. It is adjustable and didn't slide at all! I was slightly worried it might fall off after a few too many martinis but it survived the night! It's difficult to see in the picture but the inside is gold, as are the beads. The beads did not snag or catch at all and gave just the right amount of sparkle without being over the top. Added Glam to my outfit! I really liked how this bracelet turned out in pics! it really pops but not overtly dramatic. I have a super small wrist and bracelets are often hard for me to find but i loved it! All of the complements I received from my friends and family. 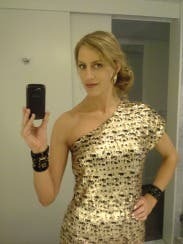 I rented this bracelet and Robert Rodriguez dress for a wedding and received so many complements! It's the perfect accessory! 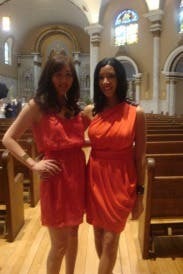 I wore this with the red Jackie O Dress. I have pretty small wrists - but it fit perfectly and made the outfit. For the price, you can't pass it up! Not too big . I have a small wrist and it fit perfectly. Despite being in Vegas surrounded by glamour, I couldn't take three steps without getting a compliment on the bracelet! i liked the cuff but none of my RTR accessories matched each other. i ended up wearing my own. 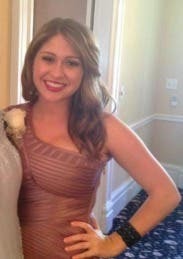 Fantastic accent for a simple bridesmaid dress. This stayed in place better than I thought it would given my narrow wrists. Perfect for a party or casual night out. This cuff brings a little edge to any outfit without being distracting. I thought this bracelet was a beautiful compliment to my dress. Big enough to get noticed, but not so big it was a distratction. Highly recommend it! The cuff was great becasue it fits tightly and doesn't move around when you are wearing it! This cuff is beautiful. Much better in person. Don't hesitate just get it! Wish I could purchase. I have a really thin wrist and I was worried It would not fit properly, but it was fairly adjustable and the fit was perfect!! better than it looks on line. it's on a heavy quality gold cuff. gorgeous. i wish i owned it. Perfect bit of sparkle that isn't too much -- all of my friends wanted a close look at my wrist! Great fit for small wrists like mine -- it stayed in place and didn't slide a ton during dinner. 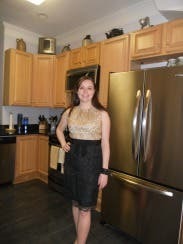 It was a comfortable way to add flavor to a great party dress. Cuff fit great, it was the perfect addition to my outfit! Not as chunky as I would have liked, not super impressed with the quality and materials but overall it was cute with my dress. I rented this to match the Trina Turk Sequined Minnie dress and it matched wonderfully! Great quality and it gave my outfit a lot of edge but still was cohesively classy! The cuff was really small! I have tiny wrists, and I still struggled with putting it on. I'm not sure how anybody with a larger wrist would fit this cuff. 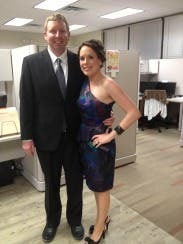 That fact aside, I thought the cuff looked great with the dress I ordered (Milly, Sweet Madeline). It was very classy! Very lovely bracelet and matched dress nicely. Black but a real standout! It fit nicely so I did not worry about loosing it like I often find with other cuffs. It is large and fun! This bracelet was very cute, but it differs from the picture. The beads are not sewn as closely together as they are in the picture online and they do not wrap completely around the cuff. I was a bit skeptical with the delivery dates but my order came right on time! This was beautiful...however, I didn't get to wear it. If one is renting, be mindful that if your wrists aren't on the smaller/standard end, then this may not be the best rental as it does seem to run a little small. I loved this bracelet. I have small wrists and sometimes struggle with cuffs falling off. This one fit snuggly.